The Perks of Being a Wallflower vinyl soundtrack features songs from various artists. The film is based on Stephen Chbosky’s bestselling novel that follows the highs and lows of a group of young friends growing up (played by Logan Lerman, Emma Watson and Ezra Miller). 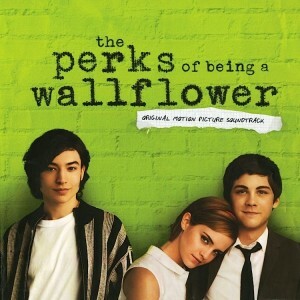 Chbosky chose the musical tracks after having collected songs for many years. The songs included comes from various rock and alternative rock artists including The Samples, Dexys Midnight Runners, Galaxie 500, New Order, The Innocence Mission, The Smiths, Cracker, Sonic Youth, XTC, Cocteau Twins, Michael Brook and David Bowie. SOUNDTRACKS ON VINYL is a participant in the Amazon Services LLC Associates Program, an affiliate advertising program designed to provide a means for sites to earn advertising fees by advertising and linking to Amazon. Certain content that appears on SOUNDTRACKS ON VINYL comes from Amazon Services LLC. This content is provided 'as is' and is subject to change or removal at any time.